We are all sick of hiring fraudulent candidates! Aren’t we? Recruitment process is an arduous task for the Human Resource professionals, so generally neglect the background verification process without realizing the adverse effects they might encounter. Running a background check is a good practice for knowing about an individual you are about to employ. Such checks can monitor the candidate’s past attentively and also ensure that his / her credentials don’t impact your organization negatively. Background verification can confirm the high claims intended by the employees during the recruitment process. Background analysis should be done diligently, before the candidate signs his/her contract with you. 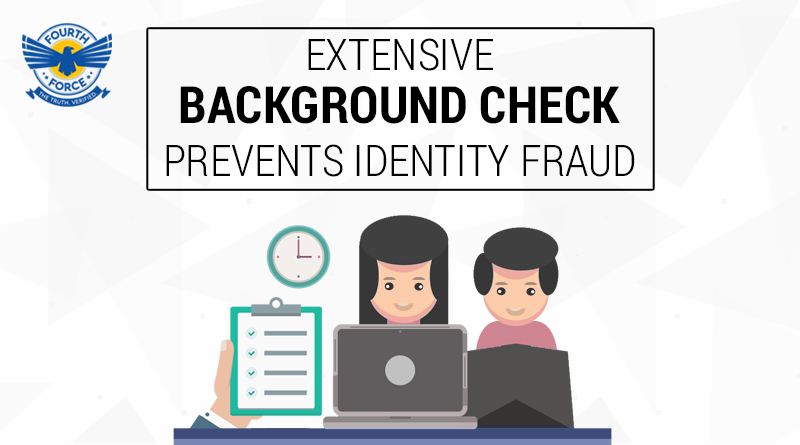 Background checks are exceptional tools for validating a person’s identity and also for monitoring their activities. There are several types of background checks available, which reveal the identity of the candidates. This check is used to verify the assertions made by a candidate during his past employment. Such screening can reveal a candidate’s employment gaps, claims and other related information. Such checks are usually conducted by discussing with the candidate’s relatives, friends and past colleagues. DMV checks are conducted to disclose information pertaining to traffic violations, accidents, address, drug and alcohol convictions. Such checks can determine whether the candidate has any reported criminal History record, judgments, lawsuits and other legal convictions. Such checks can verify candidate’s credentials namely, resume, job title, dates of graduation, degree types and dates of employment. Fourth Force is one of the leading Background verification company operating in more than 29 cities in India. They have been undertaking background verification services for discrete sectors over the years. Some of the services provided by them include Bank security, Antecedent verification, Employment Verification, Cab Driver Background Checks, Post warehouse leasing verification, Identity checks and Suppliers/Vendors verification. ← Are you conducting Insurance fraud checks?